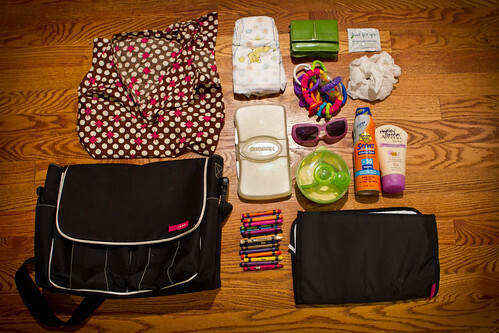 Diaper Bag Contents- 46-365 #TeamPhotoBlog, a photo by dhgatsby on Flickr. First Team Photo Challenge. I almost blew it. I would rather have shot this under real lighting and on a much more appealing background...but hey, you try having two kids, giving social media presentations, yardwork, freelance, dinner guests....ok.